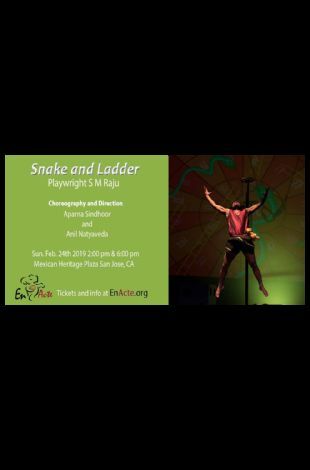 Please note Snake and Ladder occurred in past. The prince/warrior has returned from war and is suffering from PTSD. DEATH comes to take his life and the life of a traveling artist. The prince challenges DEATH to a game of snake and ladder so he can stay alive. Will he succeed in saving his life and the life of the artist? Will DEATH allow him to heal and heal others? The performance brings together exceptional actors, dancers and aerialists to create an outstanding experience of physical theater. 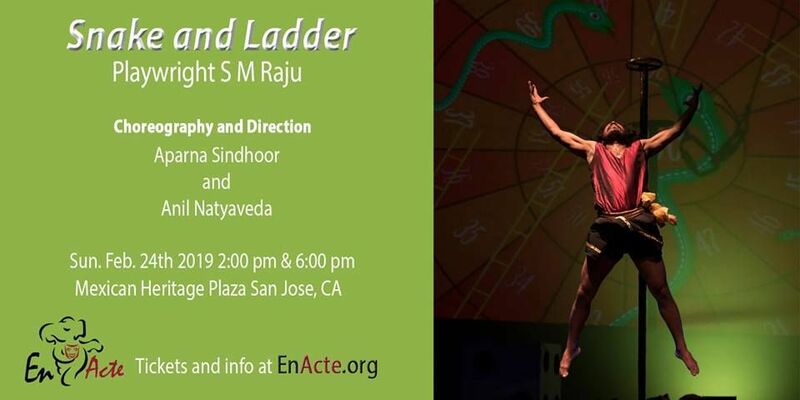 Myriad dance forms-Bharatanatyam, Kathakali, martial arts Kalari Ppeyattu, folk dance, modern dance, aerial acrobatics, yoga and other exciting movement vocabularies from South Asia create a dynamic energy that is enthralling.